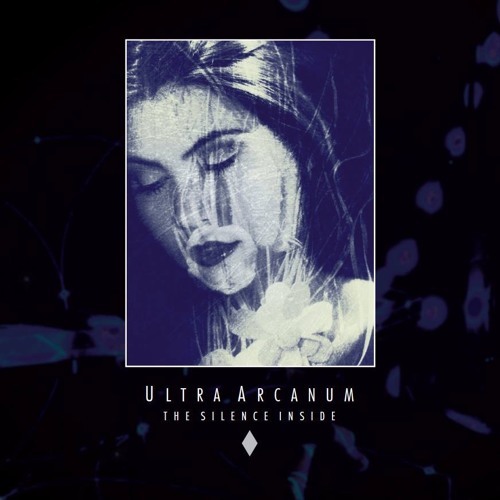 NADANNA proudly presents its 4th release, ULTRA ARCANUM “The Silence Inside” LP/CD. ULTRA ARCANUM was formed in November 2013 by Konstandinos Dorlis (keyboards) and Mark Thirkell (vocals). Proof that music transcends physical boundaries - Mark is from the UK and Konstandinos being from Greece, their debut LP “The Silence Inside” is a testament to their passion for stylish synth driven music underscored by shades of melancholia as well as moments of euphoria. Heavily influenced by Duran Duran, Joy Division, John Foxx and Visage, ULTRA ARCANUM takes you back on a stroll down memory lane to revisit the golden era of the New Romantic Movement. Gems such as the title track “The Silence Inside”, “Twilight Shades”, “Strange Kinda Love”, “Daydreamer” or “A Final Loss” will make you yearn for 80s music! The CD edition features a bonus track, “Dreamscape”, and 4 breathtaking remixes by 23rd Underpass, Techniques Berlin, Epic Dreams and The Silicon Scientist. LP features: limited edition of 300 copies, download code with additional four remixes and three bonus tracks, soft touch matte laminate outer sleeve, printed inner sleeve including lyrics, DIN A3 poster, mastered by Martin Bowes. CD features: limited edition of 200 copies, Ekopack 6pp incl. lyrics, featuring remixes by 23rd Underpass, Epic Dreams, Techniques Berlin, The Silicon Scientist, and bonus track.